Synonymous with Japanese designs the Art Deco Wall Mural in Tassel Burnt Orange pays homage to iconic oriental styles. 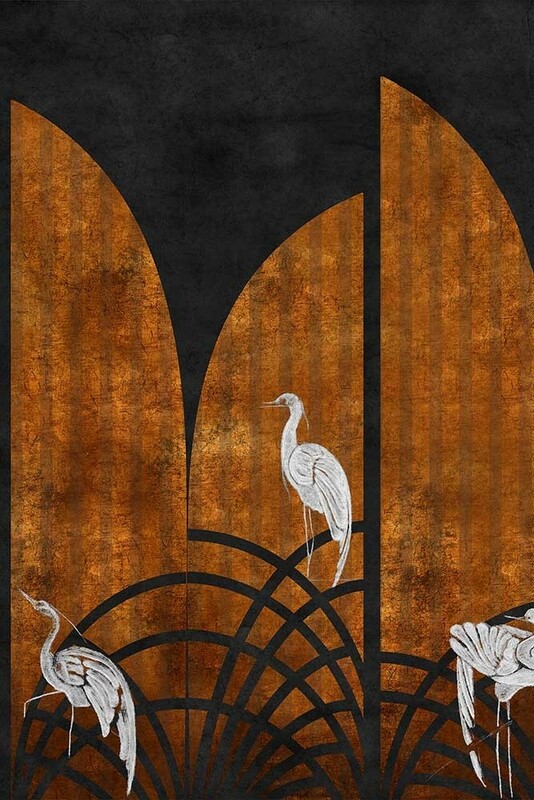 A gorgeous wall mural with deep and rich colours the Tassel Chai Japanese style wall mural features a bold black backdrop with burnt orange geometrics and white cranes. A stunning digital print wallpaper mural, the Art Deco style mural measures 2.8m in height x 4m in width and is printed onto non-woven back paper. Please note, this wall mural has a 2-3 week delivery time. But, the reason why we think that you will particularly love this Burnt Orange & Black Japanese Wall Mural is because of it’s timeless quality, looking beautiful in your home for many years to come. The combination of deep colours and classic Japanese symbolism creates a calm and relaxed feeling in the home whilst also creating impact too. A somewhat tricky balance to achieve in the home, making this beautiful mural a particularly great choice for living spaces and bedrooms. Wall murals like this ought not to be hidden away. 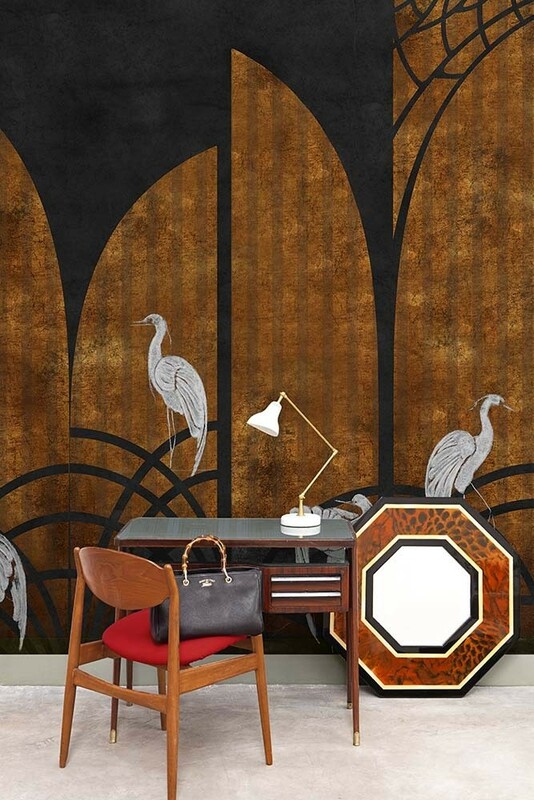 The aim of the game is to create impact, so hang this exquisite oriental wallpaper mural centre stage such as behind your sofa in your living room, in the entrance hall or in your bedroom. You could even be a little unexpected and hang this Japanese style wall mural in your kitchen for a super bold and eclectic look.